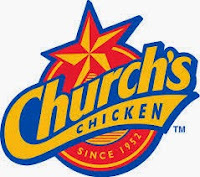 National Biscuit Day is next Thursday, May 14, and Church's Chicken is celebrating by giving away their scratch-made Honey-Butter Biscuit. Visit participating locations any time on the 14th to receive your free biscuit with purchase. Next to their legendary hand-battered fried chicken, Church's biscuits are a top-seller and the perfect pairing to the chicken. The fluffy biscuits have the right balance of savory and sweet, and are such a hot item that they fly off the baking racks.